Samothrace (Samothraki). Samothrace is located in the north-eastern part of the Aegean Sea. It covers an area of 178 sq.km, the coast length is 58 kilometres, the island is located 29 miles from Alexandroupolis. 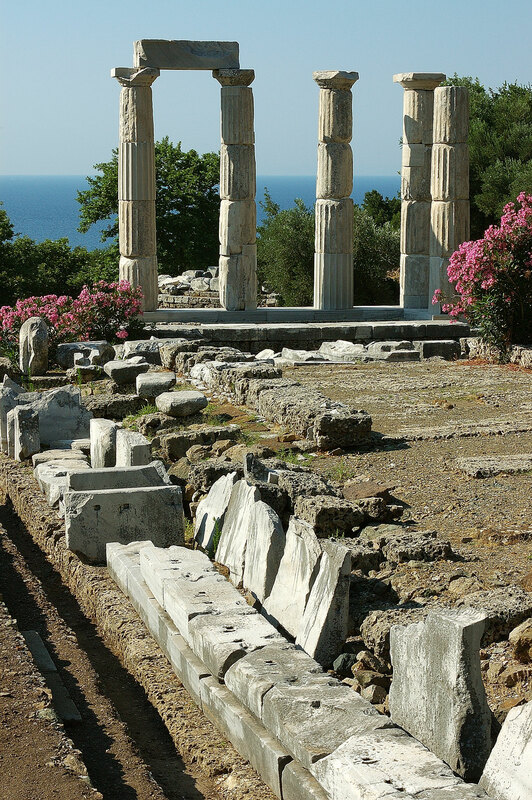 The island of Samothrace has beautiful nature but also a very rich cultural background. The nature is a combination of mountains, greenery, lakes and waterfalls, but also lovely beaches. Samothrace is known for the marble sculpture of the Greek goddess Nike that was found on the island, also called the Nike of Samothrace. 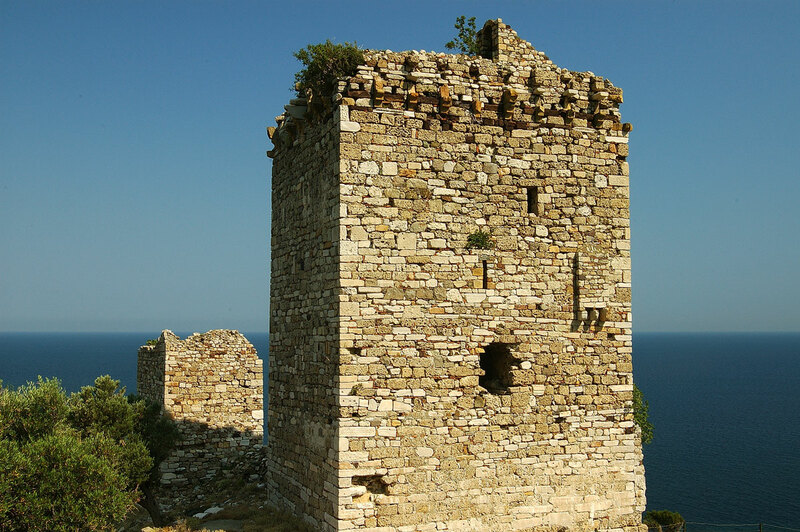 On the island are many archaeological sites you can visit.The highest mountain is called Fengari (meaning moon, highest peak 1600 meters), the legend says that the God Poseidon watched the war of Troy from here. The legend also says that if you reach the top of the mountain when there is a full moon, your wishes will come true! 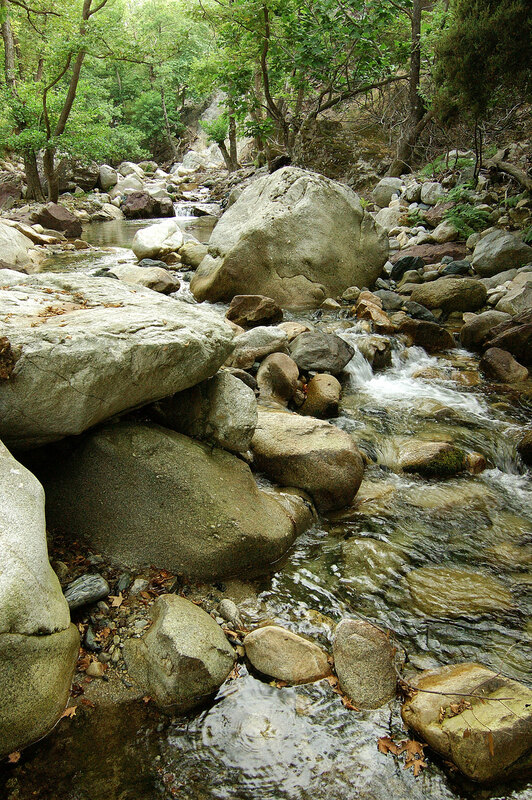 Samothrace is not really touristic, it's more an island that is visited by mountaineers and hikers and tourists who are looking for peace. 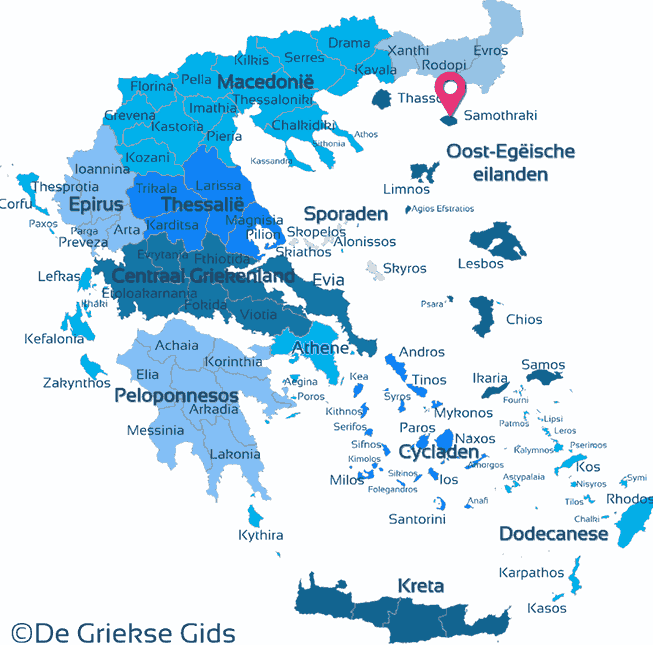 The island is connected via ferry to the island of Lemnos and with the town Alexandroupoulis of the Evros-prefecture in Thrace. 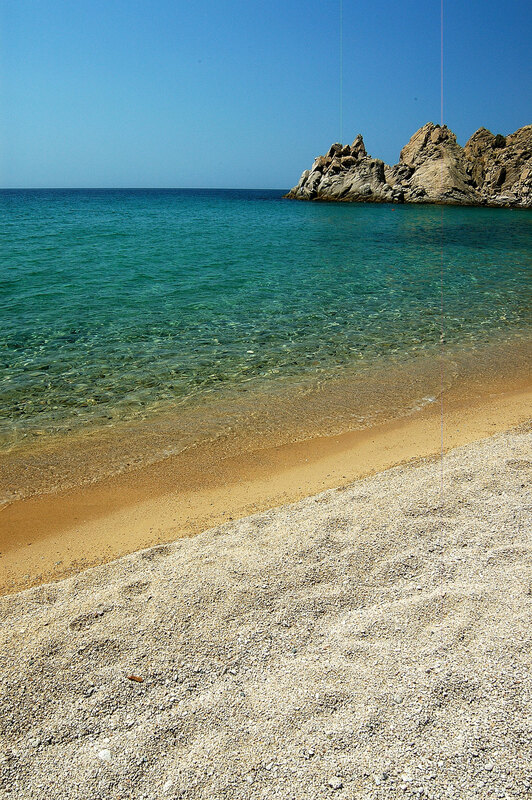 The port of Samothrace is Kamariotissa and is located in the northwest of the island. The capital of Samothrace, Chora, is located 5 km inland from Kamariotissa. 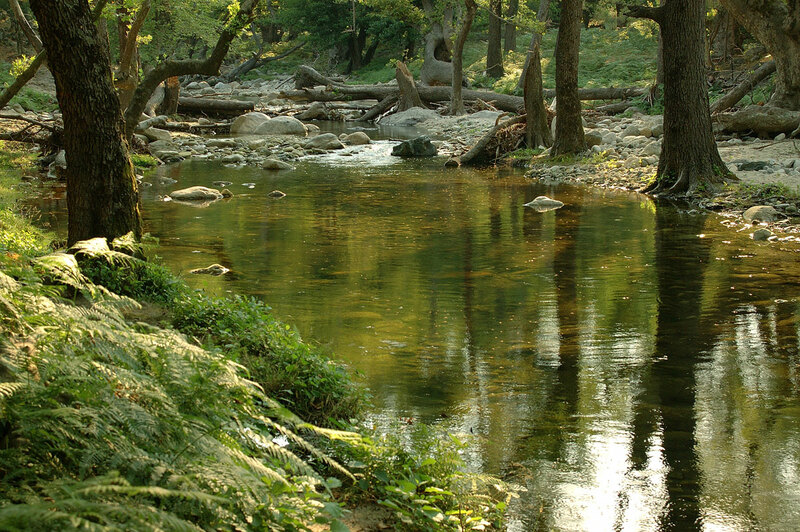 Another famous place is Loutra where therapeutic hot springs gush. Loutra is also the starting place for the ascent of the mountain Fengari. 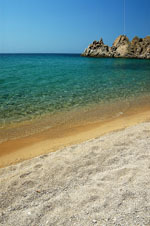 The best beaches are on the south coast and can be reached by bus or boat from Kamariotissa. The most beautiful beach is that of Pahia Amos, it is a one kilometre long sandy beach. 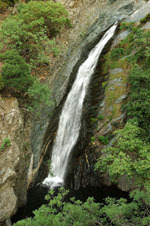 Very beautiful are the waterfalls at Kremasta Nera (meaning "hanging waters") and Kipos beach in the east of the island. The numerous waterfalls and lakes. Visit the waterfall Gra Vathra (Fonias). 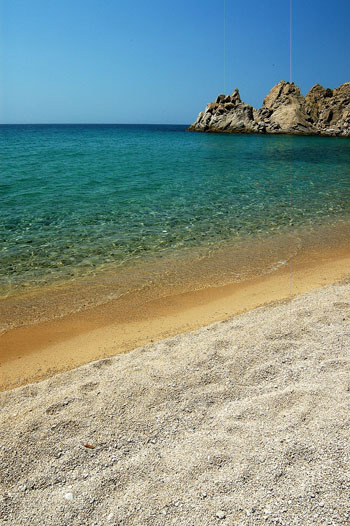 Samothrace is accessible by ferry boat from Alexandroupolis, Kavala and Lemnos. On July 20, the feast celebrated in Profitis Ilias. On July 26, there are banquets Paleopolis Therma. 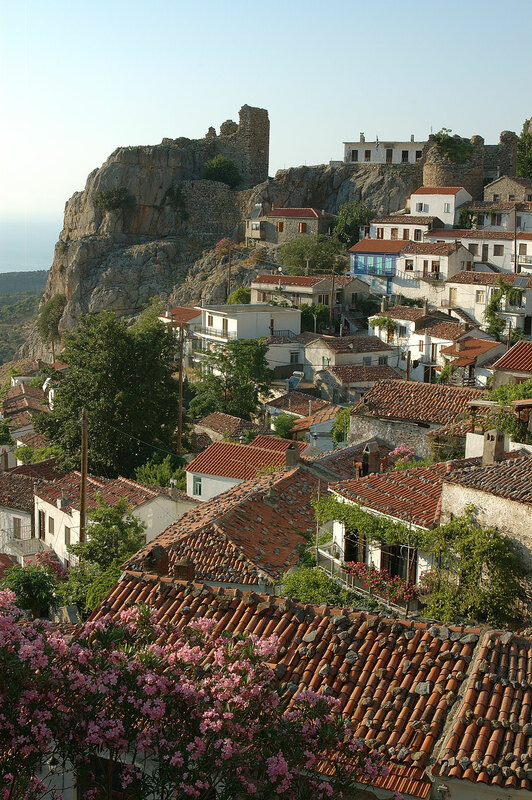 Samothrace: Where on the map is Samothrace located?